Vaginal and rectal GBS screening cultures at 35-37 weeks' gestation for all pregnant women (unless patient had GBS bacteriuria during the current pregnancy or a previous infant with invasive GBS disease, in which case intrapartum prophylaxis is automatically indicated). Figure 22-4 Indications for intrapartum antibiotic prophylaxis to prevent perinatal group B streptococcal (GBS) disease under a universal prenatal screening strategy based on combined vaginal and rectal cultures collected at 35 to 37 weeks' gestation from all pregnant women. 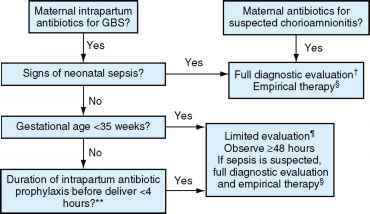 Figure 22-5 Sample algorithm for management of a newborn whose mother received intrapartum antimicrobial agents for prevention of early-onset group B streptococcal disease* or suspected chorioamnionitis. This algorithm is not an exclusive course of management. Variations that incorporate individual circumstances or institutional preferences may be appropriate. *If no maternal intrapartum prophylaxis for GBS was administered despite an indication being present, data are insufficient on which to recommend a single management strategy. tIncludes complete blood cell count (CBC) and differential, blood culture, and chest radiograph if respiratory abnormalities are present. When signs of sepsis are present, a lumbar puncture, if feasible, should be performed. §Duration of therapy varies depending on results of blood culture, cerebrospinal fluid findings, if obtained, and the clinical course of the infant. If laboratory results and clinical course do not indicate bacterial infection, duration may be as short as 48 hours. 1CBC with differential and blood culture. 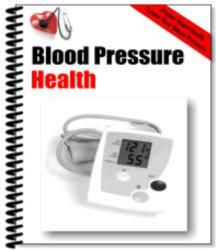 **Applies only to penicillin, ampicillin, or cefazolin and assumes recommended dosing regimens. healthy-appearing infant who was >38 weeks' gestation at delivery and whose mother received >4 hours of intrapartum prophylaxis before delivery may be discharged home after 24 hours if other discharge criteria have been met and a person able to comply fully with instructions for home observation will be present. If any one of these conditions is not met, the infant should be observed in the hospital for at least 48 hours and until criteria for discharge are achieved. and sufficiently ventilate the most severely affected infants. Infants with pneumonia should be treated with appropriate antibiotics and respiratory support. Meconium aspiration often requires endotracheal intubation and prolonged venti-latory support in addition to antimicrobial treatment.